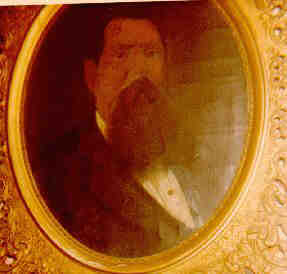 Nicholas emigrated from Ireland around 18733 with his brother, John, who settled in Connellsville, PA. 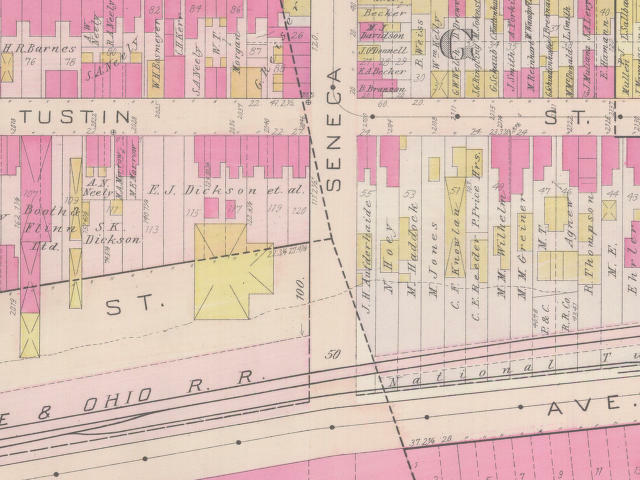 Sometime between the 1880 census and his death in 1891, Nicholas purchased property at 2104 Tustin Street.12 This was in an area of Pittsburgh known as SoHo, which is between downtown and Oakland. His wife is listed at this address in the 1900 census. Nicholas signed his will on 23 Jun 1891, four days before he died.10 He left everything to his wife, Rose. 1 Thomas Hoey, Telephone Conversation with Bernard Brennan, (Pittsburgh, PA), Jun 1999.
http://www.familysearch.org, (Salt Lake City, Utah, Intellectual Reserve, 2001). 3 Thomas Hoey, Oral Interview of Mary Elizabeth (Hoey) Walsh, (Pittsburgh, PA). 4 Thomas Hoey, Cemetery Headstone, Calvary Cemetery, (Pittsburgh, PA, May 1999). 5 City of Pittsburgh, Death Certificate - Nicholas Hoey, (Pittsburgh, PA, 1 Jul 1891). 6 Funeral Home, Mass Card, (Thomas Hoey). 7 Thomas Hoey, Oral Interview of James Hoey, (Pittsburgh, PA). 8 Calvary Cemetery, Cemetery Records, (Pittsburgh, PA, 22 Oct 1999). 9 Pennsylvania, Allegheny County, 1880 U.S. Census, Population Schedule, (Washington, D.C., National Archives and Records Administration), ED 129, Sheet 27, Line 26. 10 Nicholas Hoey, Last Will and Testament, (Pittsburgh, PA, 23 Jun 1891). 11 Commonwealth of Pennsylvania, Department of Health, Bureau of Vital Statistics, Death Certificate - Rose (Quinn) Hoey, (11 Mar 1908).